Watch the videos that are embedded in the quiz link to below to answer questions about how to find, evaluate, and use information. Once you have completed all three sections you can print a certificate of achievement. 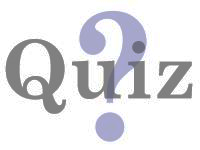 Click on the quiz icon and self-enroll yourself into the course to complete the quiz.